AlphaE instruments have been supplied to a UK mine for Radon risk assessment in underground workplaces. The instrument is also used for personnel radon monitoring under harsh conditions and with high air humidity. Integrated Radiological Services (IRS) Ltd, the UK’s high-quality supplier of radiation protection services, supplied United Utilities with eight AlphaE personnel radon exposure meters as part of its radon monitoring strategy for service reservoir cleaning and inspection teams. 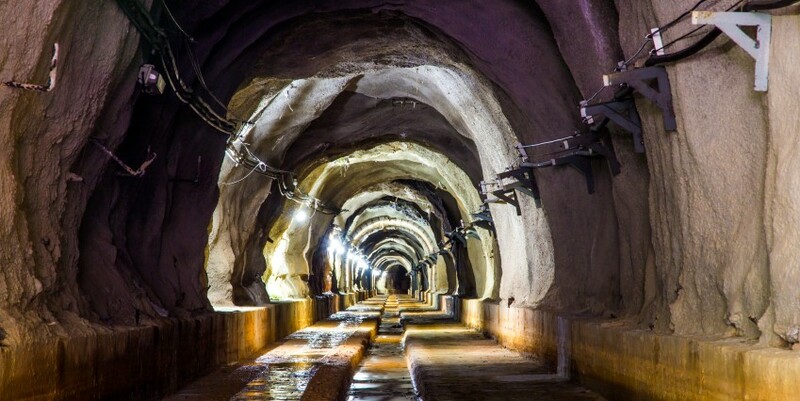 Radon measurement in underground environments using traditional passive detectors can be a challenging exercise given that these locations are usually full of water, which makes the siting of passive detectors for short- or long-term average measurements impractical. The AlphaE radon exposure meter is a unique product that allows for the real-time measurement of radon gas and is also able to provide an estimate of effective dose based on a user-settable equilibrium factor. The device is a small lightweight device that will usually be worn by the worker so as to accurately reflect the personal exposure of the individual. This very neat function will allow personal doses to be carefully monitored and managed in accordance with current UK radiation protection legislation. The AlphaE will also be used as an environmental monitor to inform on-site risk assessments prior to entry into a service reservoir or other underground location. IRS is reviewing and analyzing the first wave of data captured by all the operational AlphaE devices, in order to profile the radon risk across the numerous service reservoir locations. Further blog up-dates will be provided in due course summarizing the latest developments in the application of this ground-breaking technology, in what can only be described as a challenging environment.